Interested in Selling your Condo in Conrad Fort Lauderdale Beach Residences? The Conrad Hilton, a luxury hospitality brand renowned across five continents, is bringing its elite resort lifestyle to Fort Lauderdale Beach with the Conrad Fort Lauderdale Beach Residences. Owner CFLB Partnership which also has a stake in the nearby Hilton Fort Lauderdale Beach Resort, paid $115 million for the property. CFLB spent an additional $34 million in renovations and upgrades to the 551 North Fort Lauderdale Beach Boulevard Conrad Ft. Lauderdale Beach Hotel and Residences property. The luxury Conrad Fort Lauderdale Beach resort and condo residences is slated to open in 2015. The 298-room resort will have one, two, three, and four-bedroom units including luxury Penthouse condo residences. There will be 223 luxury finished and furnished resort condominium units, all stylishly finished and furnished along with 75 private luxury condos residences. While away, owners have the option of placing their residence in the Conrad Hilton luxury rental program, which will be available to discriminating travelers who want a place to stay that’s way above even the most luxurious hotel. Originally planned to open as the Trump International Hotel and Tower Fort Lauderdale in 2009, the 24-story oceanfront property located on a prime two-acre block, has a new owner and is undergoing more than $30 million in enhancements and luxury upgrades beyond the original Trump standards. Originally designed by renowned architect Michael Graves, the property is being elevated to the next level of luxury with spectacular new architectural and design features by architectural firm Garcia Stromberg in collaboration with interior design firm Edge of Architecture. Upgrades include a magnificent porte-cochere entrance with 24-hour valet service, a striking new lobby and a dramatic glass-encased area connecting the resort property’s two towers three stories above ground level as well as a ballroom. Enjoy all the benefits and luxuries of a resort hotel suite in a vacation condominium, including an unrivaled menu of services provided by Conrad Hilton. It delivers the refined elegance of beach resort living with superior service, unique tropical amenities and upscale accommodations. An international style of appointments are blended with a secluded tropical getaway atmosphere to inspire travelers from around the world to experience the best Fort Lauderdale, Florida has to offer. For the best in premier oceanfront living, Conrad Beach Residences Fort Lauderdale is the place to call home! Designed to offer maximum benefit ownership that an elite resort residence can provide by leasing your purchased unit back from you for three years. (1) 8% per year based on your purchase price, with 30 complimentary owner usage days each year. (2) 7% per year based on your purchase price, with 60 complimentary owner usage days each year. (3) 6% per year based on your purchase price, with 90 complimentary owner usage days per year. Payments are made quarterly, less any maintenance fees, utilities, assessments, taxes, insurance and reserves for Furniture, Equipment, and Equipment. Owner usage days are subject to availability and certain blackout dates apply. Contact me directly 305-494-1767 for additional information regarding specific Conrad Ft Lauderdale preconstruction pricing, availability, floor plans, and deposit schedules. Preconstruction Conrad Fort Lauderdale Beach Residences For Sale. Conrad Fort Lauderdale Beach Condos located 551 N Fort Lauderdale Blvd Fort Lauderdale Beach Florida. Call 305.494.1767 Conrad Fort Lauderdale Beach Condos. 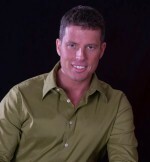 Steve Samuels is known as one of the premier real estate brokers in the South Florida market. His negotiation skills, market knowledge and no-nonsense, results-driven approach has made him one of the most sought after luxury condominium and single family waterfront realtors from Miami to Palm Beach County. CondosandCondos.com is one of the Leading Miami Real Estate websites where you can find Condos for Sale or Rental. Search for Luxury Condos in Miami, Miami Beach, South Beach, Sunny Isles, Hallandale, Key Biscayne, Bal Harbour, Fisher Island, Coral Gables, and all of South Florida.